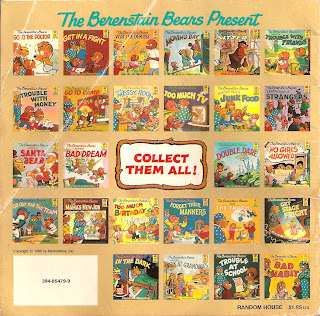 I just love the Berenstain Bears collection. There is a strong familiarity factor, of course, because these books were part of my own childhood. The best part about them is that they are issue based, so you can select books with messages your kids are ready, or need, to hear. Whether it's strangers, messy rooms, bad habits, having bad dreams, too much t.v., visiting the dentist, moving to a new house or even a parent going back to work or managing money, the Berenstain Bears have us covered. They get surprisingly specific!! Even though these books each obviously teach a lesson, I do not find them to be preachy. 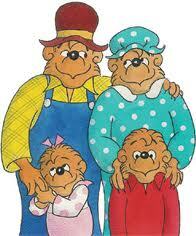 I like how Mama Bear and Papa Bear both get involved in finding solutions and making resolutions and compromises. These are wonderful books for anyone, but especially a parent looking for help explaining or reinforcing something specific in their own family. It is fantastic to have a book that sends the same message you're trying to send as a parent and my kids ask to hear these books over and over again!